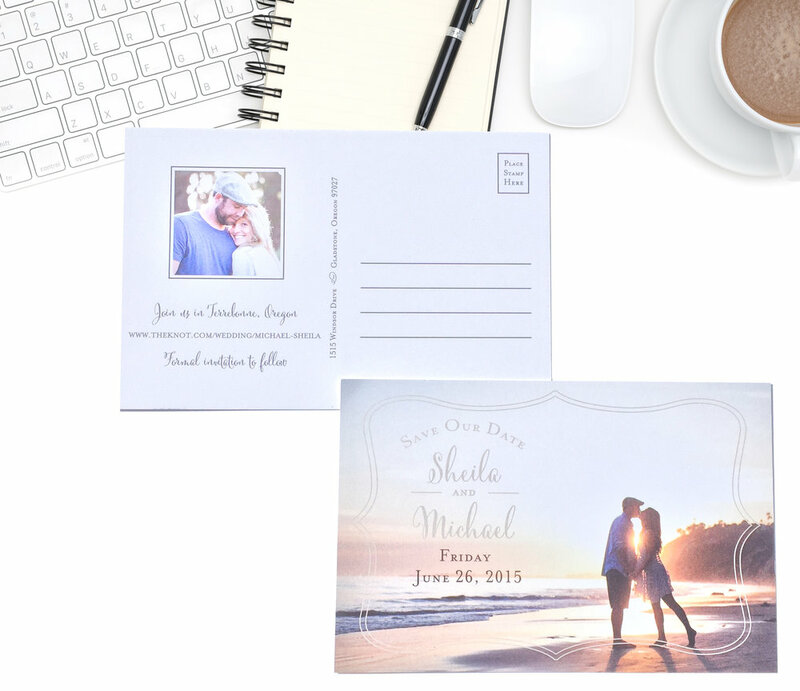 Save the date cards are perfect for announcing your big day to friends and family. It’s the first stationery piece that guests will receive as they are generally sent out six to twelve months in advance. Save the dates can be printed as postcards, magnets, or flat cards and printed on luxe card stocks, wood veneer or even plastic. The ideas are endless as we encourage guests not to schedule any other events on your big date!